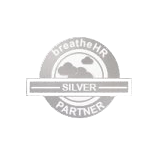 We can help you with a whole range of HR issues, requests and projects. If you’re not sure exactly what support you need, that’s fine, get in touch and we can guide you. All new client relationships start with a good, honest conversation. This will give us the opportunity to gauge the extent of support you need. Following this, it’s always good to meet face-to-face to get to know you, your business and your specific needs in greater detail. We pride ourselves on the quality of our work. Whether you need help with a particular project, such as recruitment, policy writing or dealing with a sensitive issue, or ongoing guidance with training or appraisals, we can help. We provide a service that’s tailored to each and every one of our clients. So, we allow business owners to select an appropriate level of cover for their specific business needs and financial budget on a project, ad hoc or retained basis. Before we get started we’ll produce a planned, focused and realistic proposal with your business objectives in mind. Our aim is to support you as best we can so, as our relationship with you grows and your business changes, we can review the support we offer, to ensure it fits your needs.